Heut haett ich mal einen Prototypen von Moshe Pitzberg in Unity mit bei, spielt sich schon sehr challenging und is nuex fuer Schaafe mit niedriger Frustrationstoleranz. 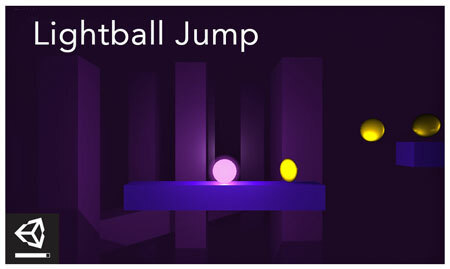 Lightball Jump: The Coin Collector of the Darkness V2.5 currently is includes 9 challenging level that will help you learn the game and play in the next versions coming soon…. This entry was posted on Tuesday, April 16th, 2019 at 11:45	and is filed under Weichware, Zeit und Raum. You can follow any responses to this entry through the RSS 2.0 feed. You can leave a response, or trackback from your own site.